Wash & wipe brinjals. Roast the brinjals by placing them directly on the burner. Turn sides of the brinjal for even roasting. Turn and roast the brinjals till the surface changes to black color—by that time the brinjals become tender. Take the roasted brinjals into a plate and allow them to cool. Meanwhile wash ginger and green chilies. Take the washed ginger and green chilies into a mixie jar and grind them coarsely. Wash and chop curry leaves. When the roasted brinjals have cooled down, peel the skins which have turned black while roasting. Check for worms by slit opening the brinjals. Mash the roasted, peeled and checked brinjals with knife or a fork. Using a fork or a whisk smoothen the curd. Add the mashed roasted brinjals to the smoothened curd and mix well. Add sufficient salt and mix again. Keep the curd mixture aside and prepare the seasoning. Heat a pan and add oil to it. When oil is hot add black gram and fenugreek seeds. Fry stirring, till the seeds start changing color. Then add mustard seeds and cumin seeds. Fry till the seeds splutter add chopped curry leaves, ginger-green chili paste, asafoetida and mix well. Frying the green chili paste in oil removes the hotness. Switch off the flame and add turmeric powder and some chopped coriander leaves. Mix all well and add this seasoning to the prepared curd mixture. Mix well and transfer the perugu pachhadi to a serving bowl. Garnish the dish with chopped coriander leaves. Serve with rotis or rice. This perugu pachhadi tastes good when served chilled. Quantity of curd may be increased or decreased according to taste. Roasting the brinjals cooks them partially. When the brinjals are roasted they just lose the rawness but are not cooked fully—this gives a special flavor to them. Remember to turn the sides for even roasting of the brinjals. Roast them till the skin turns black on the entire surface of the brinjals. When the skin turns black—by that time the brinjals are semi-cooked and loses the rawness. Smoothen the curd till there are no lumps. Using some green chilies and some red chili flakes gives a separate flavor to the dish. Using red chili flakes and avoiding green chilies and ginger brings out another flavor. Using broken red chili pieces gives another flavor. Choose different options and prepare the perugu pachhadi and enjoy new taste each time. gayatri garu. telugu lo vrastanu eroju koti somavaram upvasam unnanu. net lo ki velli vankaya pachade recepi kosam kodete mee vantaellu vachendee. meeru ela chepparo allage chesanu vaa super ga unnde pachadee. Handsp meeku. saw your recent vonkaya perugu pachadi video...glad you are using glass in microwave :) a very happy sankranthi to u and your family...hope you are safe from all the uncertainity around. 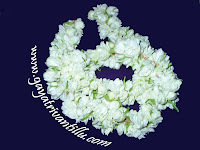 I am Saradyamini from Guntur, now in netherlands. 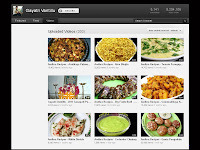 I saw you website while searching for ' brinjal curry"
You did a fabulous job with "Gayatrivantillu" website. It is really very helpful and guding young cooks..like me very well. The way you narrate added life to the work. I will write to you if I have any queries...regarding..recipies. Mee recipes chala bagunnayi., nenu konni try chesanu, thanks andee. meeru kobbari boorelu ( not aresalu) ela cheyalo cheppandi. 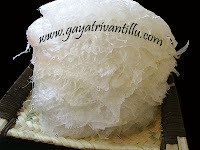 maku tadi rice flour kudaradu. kanuka mara pindi( DRY RICE FLOUR) to pakam ela ravali? pindi, bellam, how much water and ela pakam cheyalo pls write , gayatri garu.